We're not entirely sure what is going on here. Look at those slippers! 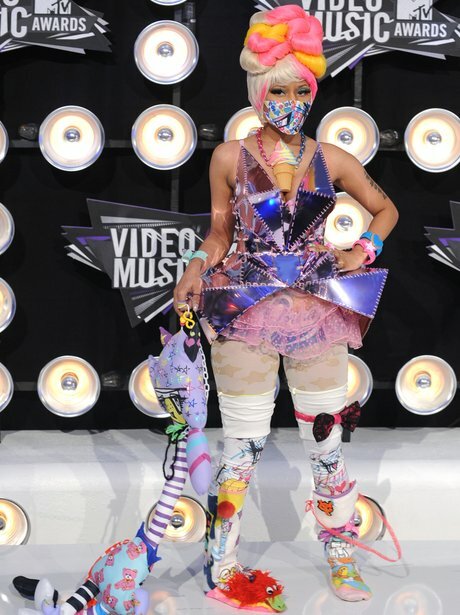 #HappyBirthdayNickiMinaj - The Rap Star's 23 MOST Dramatic Fashion Moments! 4. We're not entirely sure what is going on here. Look at those slippers! See the full gallery: #HappyBirthdayNickiMinaj - The Rap Star's 23 MOST Dramatic Fashion Moments!